For the past couple of weeks, Hubster and I have had the pleasure of my Long Lost Cousin to stay… All my cousins are “Long Lost” according to Hubster. Purely because they all reside on the opposite side of the world and I can count the number of times I’ve seen them on my fingers, while he grew up practically living with all of his. Nevertheless, it makes for rockin’ good times when my cousins come to visit our little slice of paradise. This particular Cuz is a huge movie buff and Lord of the Rings fan, so naturally we had to take him to every Hobbit themed attraction possible. 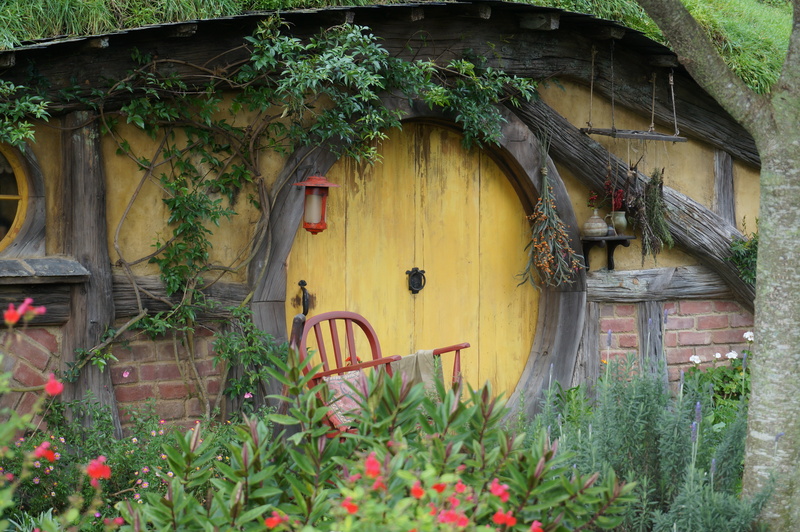 Mama-dearest took him on a tour of various filming-locations and the WETA workshops down in Wellington, and I had the pleasure of taking him to Hobbiton. Who knew so much fun could be had on a farm in the middle of Waikato.